"I'm pragmatic – and only if necessary, combative. It depends on which approach works best for the client. Fighting matters of principle can get very expensive." In re Cubic Energy, Inc. (Bankr. D. Del.) -- Lead counsel for a senior secured lender and plan proponent. In re All American Oil & Gas, Inc. (W.D. Tex.) – Lead counsel for secured creditor. In re Bennu Titan LLC (Bankr. D. Del. & Bankr. S.D. Tex.) – Lead counsel for record title owner of leases whom Debtor and regulators attempted to shift responsibility for offshore platform. In re PostRock Energy Corporation (Bankr. D. Okla.) – Lead counsel for national bank holding the single largest portion of secured debt. In re Greenfield Energy Services, Inc. (Bankr. D. Del.) – Lead counsel for SWEPI L.P., obtaining a complete release for a senior secured creditor involving a hydraulic fracturing operation. In re ATP Oil & Gas Corporation (Bankr. S.D. Tex.) – Lead counsel for both trade creditors and energy companies potentially responsible for substantial collective decommissioning obligations due to the Debtor’s default. In re Superior Offshore International (Bankr. S.D. Tex.) -- Lead counsel for the Official Committee of Unsecured Creditors, obtaining full payment with interest. Michael also routinely handles the defense of preference litigation in some of the largest bankruptcy cases in the U.S. and is certified in the area of business bankruptcy law by the American Board of Certification. “Liskow’s depth of bankruptcy and courtroom experience is truly an asset for every client that hires us in these areas,” Michael notes. Major financial institutions throughout Texas and Louisiana regularly seek Michael's guidance. 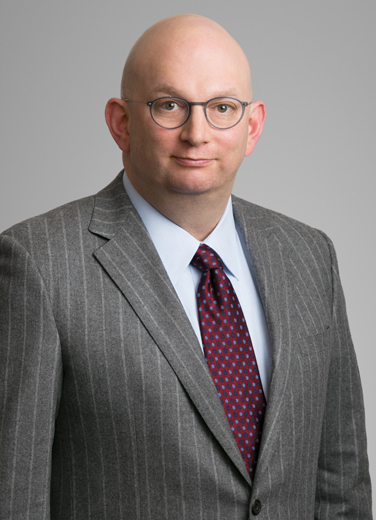 In addition, he has extensive experience in general business litigation and government enforcement proceedings, and has managed complex, large and difficult electronic discovery projects in both criminal and civil cases. Michael has served as managing partner of the firm's Houston office and as a member of the firm’s Board of Directors. He has also served on the firm’s compensation, technology, library, medical, and office administration committees. He was a Law Clerk to the Honorable Edith Brown Clement, Judge, United States District Court, Eastern District of Louisiana from1993–1995. In re All American Oil and Gas Incorporated, et al. (Bankr. W.D. Tex.) – Lead counsel for Shell Trading Risk Management, LLC and Shell Trading (US) Company in Chapter 11 of derivative counterparty. Citibank, N.A. v. Cardinal River Energy Company (S.D.N.Y.) – Co- lead counsel for defendants. In re Bennu Titan LLC (Bankr. D. Del. & Bankr. S.D. Tex) – Lead counsel for record title owner of leases whom Debtor and regulators attempted to shift responsibility for offshore platform. In re PostRock Energy Corporation (Bankr. D. Okla.) – Lead counsel for a national bank holding the single largest portion of secured debt. “Drilling Down: The Oil & Gas Industry and Bankruptcy Collide,” American Bar Association Business Law Section, Spring Meeting, New Orleans, Louisiana, April 7, 2017. "Bankruptcy for Breakfast," American Bar Association, Section of Business Law, Fall Meeting, Washington, D.C., 2007-2010, 2012-2018. “Unique Issues in Oil & Gas Bankruptcies,” Southern District of Texas Bankruptcy Bench Bar Conference, Corpus Christi, TX, April 21, 2016. "Ethics: Attorney Liability and Responsibility to Non-Clients,” Institute for Energy Law, 4th Midstream Oil & Gas Law Conference, Houston, Texas, December 3, 2015. By order of the Louisiana Supreme Court, Michael represented an inmate on death row at the Louisiana State Penitentiary. This resulted in a compromise, whereby the client was allowed to plead guilty to a lesser charge and receive a life sentence. In recognition of this work, Michael received the Camille Gravel Pro Bono Award from the New Orleans Chapter of the Federal Bar Association, and the firm received the Beacon of Justice Award from the National Legal Aid & Defender Association. Michael now serves a Chair of the Steering Committee for the American Bar Association’s Death Penalty Representation Project. "I'm an avid scuba diver and underwater photographer. When I'm in the water, I am able to set work aside and relax."